For many people, traditional marketing—like advertising on TV, for example—still looks pretty straightforward. If you have deep pockets, all you need to do is hire a fancy agency, shoot a nice commercial, buy some time slots on a few TV channels—and just enjoy the ride. It’s not that simple anymore. 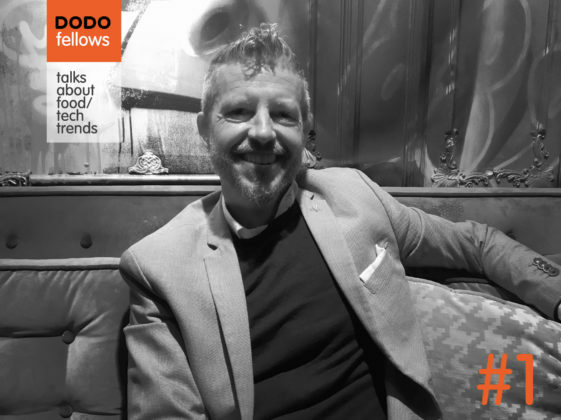 We at Dodo Pizza learned that there is an untapped potential in mixing traditional marketing with digital channels that can significantly improve the performance of your ads. And we aren’t talking about integrated marketing campaigns here—we’re talking about adjusting your TV strategy and even buying using real-time digital data. Our most significant market is in Russia, where Dodo holds the #1 place in the pizza delivery market. We are twice as big as Papa John’s or Domino’s and have the best coverage in terms of number of cities where our brand is present. So in April 2018, Dodo Pizza launched its first nationwide advertising campaign in Russia. Even though we consider ourselves a “digital-first” company, we invested the largest part of our budget of $1.6M in the most traditional media—TV, because it still has the highest reach. Thus, Dodo Pizza became the very first brand to be promoted on national TV in the “pizza” category in Russia. At the same time, our call to action led viewers to install our brand-new app, place an order, and get a free pizza for their first order. And that’s where the real magic happened. We had data from our information system, Dodo IS, on how many installations of our app were happening by the minute. We could also track every time our TV ad was on—by minute, as well. This provided us with the opportunity to match these two sides of the equation. We were able to evaluate the performance of our campaign and tweak it as it was unfolding over the course of six weeks. We were studying the contribution of such factors as the day and time of the placement, channel, genre of the programs, and timing. As a result, we made a bunch of changes in our TV placement strategy while the campaign was still running. We turned off one channel (Russia 24) completely, because it showed the least effectiveness and affinity with our audience. The part of the budget invested in «Russia 24» was redistributed towards the other three niche channels that showed the most effectiveness. The five-sec ads proved to have almost two times lower CPT than 10-sec ads while showing almost the same conversion to installs, so we turned off all the longer ads and redistributed our timing towards the shorter commercials. This led us to increase the frequency of contacts and resulted in a higher number of installs. It also improved the cost-per-install metrics during the campaign. Advertising on Saturday, Sunday, Monday, and Tuesday showed the greatest performance and contribution to growth of installations. So we redistributed our budget towards these more effective days. Finally, we figured out that advertising during music, movies, and educational programs brought us the most organic app installations. Thus, we showed our ads mainly in these programs for the last two weeks of the TV flight. As far as we know, this let us become the first and only advertiser on Russian national TV ever to optimize its media strategy and buying on the go. We not only saved money but also managed to increase the weight of the campaign (TRP)—it turned out to be 2% higher than we planned initially. 15 million people in our target audience saw our TV ad at least one time, and more than 9.5 million people saw our ad at least five times. Within just the two months of the campaign, our app was downloaded more than 1.2M times—while before, our monthly rate was about only 200 thousand installs. In May 2018, Dodo Pizza’s monthly system-wide sales in Russia exceeded 1 billion rubles (around $16M) for the first time in its history—this was 182% growth against May 2017. The campaign’s ROMI amounted to 108%. Our second nationwide campaign is already in full swing, and we definitely plan on further improving our advertising strategy using real-time digital data. Do you?